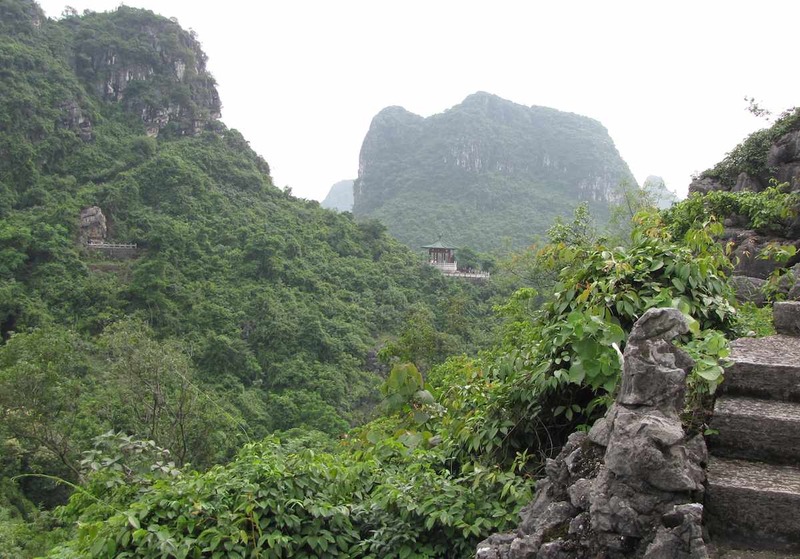 Hills in Xishan park, Guilin, China. Buddhist pagoda visible near the center and Buddhist shrine with carvings to the left of it (less noticeable in the photo). Xishan Park is a large part inside Guilin city. The site include historic buddhist rock carvings and a buddhist temple. A short walk takes you past the large number of visitors (I was there on a weekend) near the entrance and up into hills where I saw only a few people. It is quite a nice park to see nature, history and view local people using their park.